When it comes to getting the most out of lessons and lectures, joined-up technology is as important as joined-up thinking. Advancement in display and audio equipment means pupils and students can be taught engagingly amid stunning imagery and sound, provided the technology supports the lesson plan and lecture notes. Technology is bringing people closer together, even when they’re far apart. Thinking ahead ensures establishments can collaborate most effectively. “There are simple methods to create a more collaborative classroom that universities can take advantage of. When selecting new technology or evaluating your current asset, check out the connectivity ports. 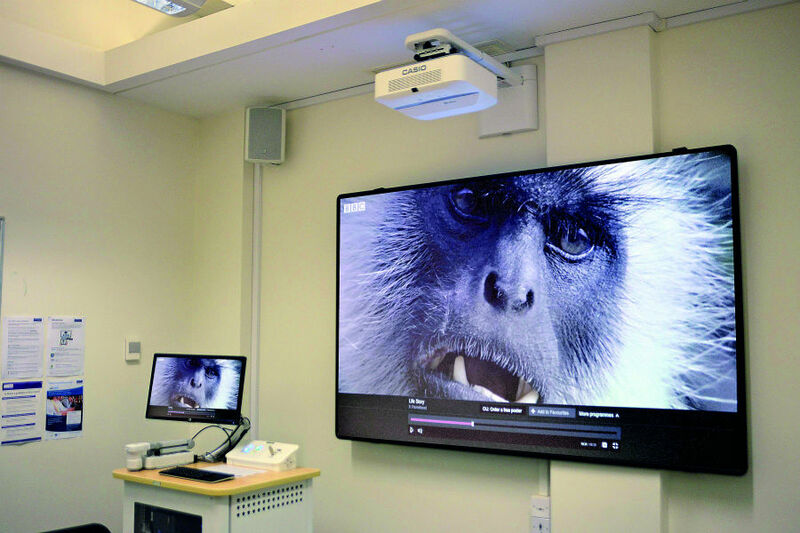 Manchester University created a collaborative experience for their students using Casio’s UST projectors in multi-purpose learning and meeting spaces, connected into the in-room computer network. Because they were able to fit into constrained spaces with a very short throw distance of 27cm for an 80” display. it can work throughout the room, and its connectivity allows for easy use and a seamless experience. 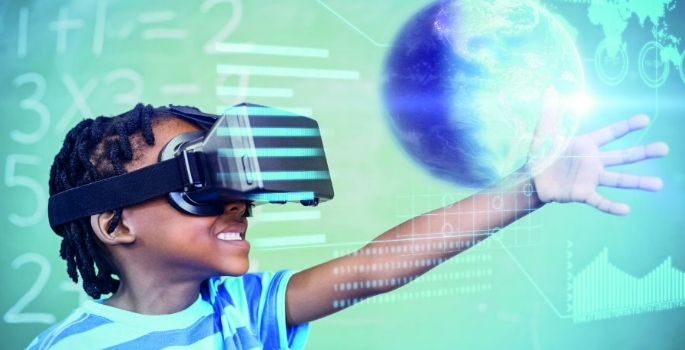 Adapting virtual reality for educational use can bring challenges, and it is essential the teacher remains in full control, according to Veative Labs director Colin Bethell. “Effective synchronisation is vital for viewing 3D content on VR devices. 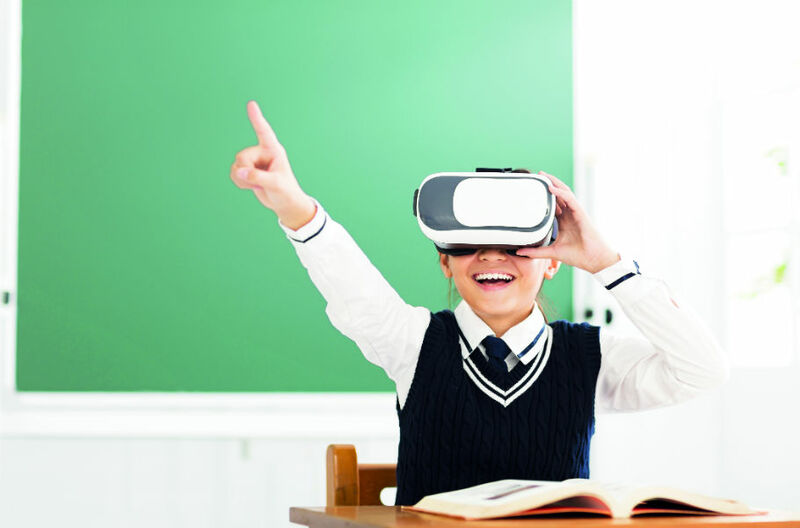 Teachers can’t see what a pupil is doing when wearing the headset, so to ensure the VR component is fully integrated the teacher must be able to cast their screen to all pupil VR devices and vice versa. Establishments have much to consider when procuring technology, according to Peter Claxton, senior manager education solutions at SMART Technologies. SMART Amp, part of the SMART Learning Suite, is SMART’s cloud-based software. It lets students use their mobile devices to create and discover digital content, answer questions for formative feedback, collaborate and exchange ideas in a shared, interactive workspace. The software is used in partnership with the SMART Kapp iQ IFP display. Teachers upload lesson plans to the panel which students connect their devices to via Wi-Fi. It enables them to deliver two-way collaborative lessons, assess student performance along the way and guide the collaborative effort without widespread interruption. Pupils and students learn best when the technology in their learning environment is in maximum synchronicity. Irrespective of what might be taught in maths, when creating collaborative classrooms in which teaching, teamwork and tech come together terrifically, the whole really is greater than the sum of the parts. Together, everyone achieves more.